Rolls up small to the size of a pocket umbrella. The classic board game as a genuine collector’s item. 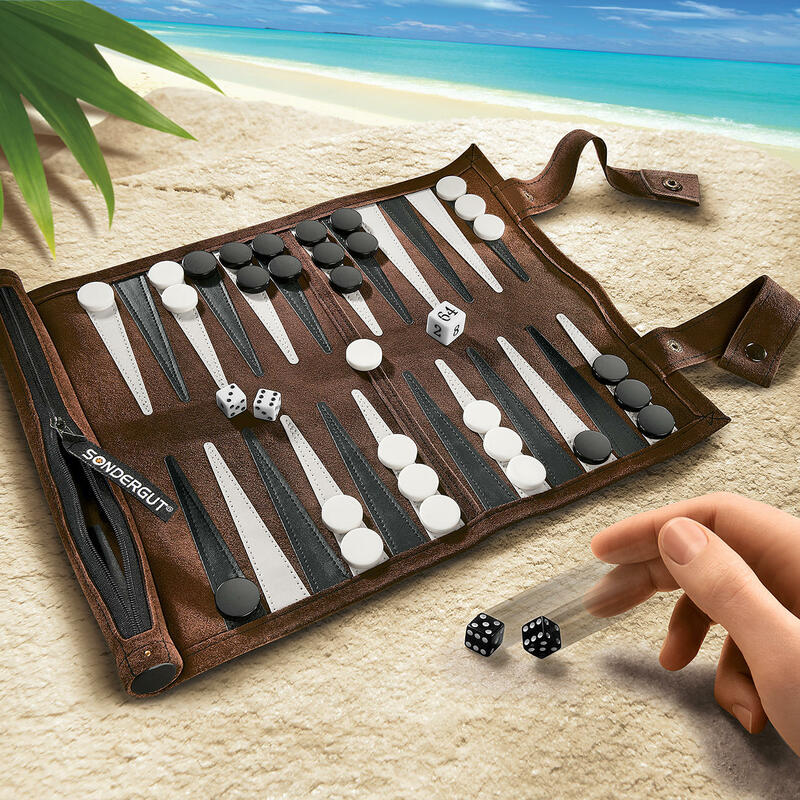 Whether you are relaxing on the beach, are in an aeroplane, at the hotel bar, … you can now play backgammon almost everywhere – and with style. This hand-sewn, full-size board in smooth cowhide is a true collector’s item. The points, which are made from faux black and beige leather clearly stand out (which you can even feel) from the velvety, mocca-brown suede. The 2cm (4⁄5") in diam. melamine checkers will not slip out of place even during rough ferry crossings or turbulent flights. When the game is over you can safely store both dice, the doubling cube and both sets of 15 checkers in the zipped pocket on the side of the board. 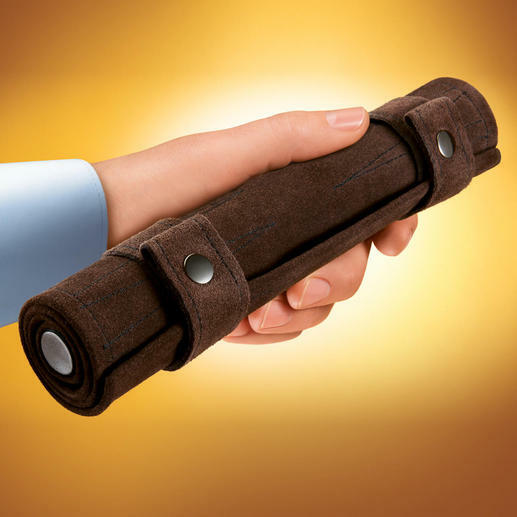 Only measures 25 x 5cm (10" x 2") (L x W) when rolled up and will fit into your hand luggage and into every handbag. There is no bulky box to get in your way. Game board measures 25 x 32cm (10” x 12 2⁄3"). With comprehensive game instructions. Only weighs approx. 210g (7.4 oz). Caution: Not for children 3 years or under. Choking hazard due to small parts.